HÀ NỘI — Nguyễn Tiến Minh of Việt Nam advanced to the third round of the CELCOM AXIATA Malaysia International Challenge in Johor. The No 5 seed beat Chen Chi Ting of Chinese Taipei 21-19, 21-14 in the second round, men’s singles event yesterday. He will next meet Tan Jia Wei of the hosts who won 21-19, 19-21, 21-17 Over Hadmadi Fikri Ihsandi from Indonesia in another match. 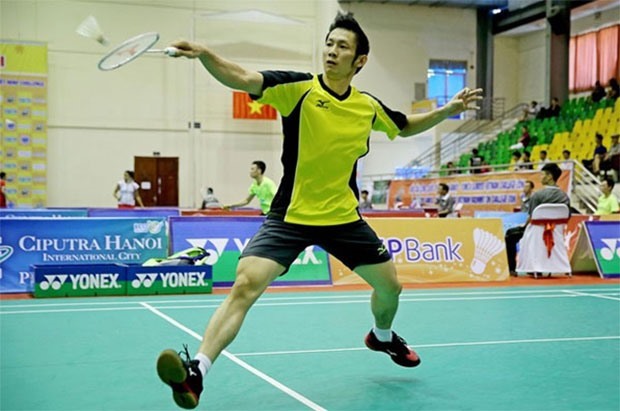 Vietnamese Phạm Cao Cường was out of the category after losing 13-21, 17-21 to Chong Yee Han of Malaysia. In the men’s doubles, Bảo Minh and Dương Bảo Đức lost 18-21, 14-21 to Shia Chun Kang and Tan Wee Gieen of Malaysia in the first round. On the women’s side, Vũ Thị Trang defeated Malaysian Saranva Navaratnajah 23-21, 21-10 in the second round match. Trang, the No 1 seed, will play Thamolwan Poopradubsil of Thailand in the quarter-finals.